Let’s face it – receiving graduate interviews can be both exhilarating and daunting. 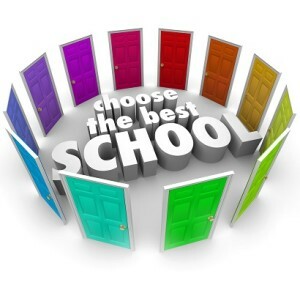 When faced with a number of programs to choose from, how can you choose the program that is right for you? There are several ways of becoming familiar with a graduate program so that you can decide whether it is right for you. These include: the materials listed on the graduate school website, materials on the psychology department’s website, correspondence with the professors in the program, the interview day, and lastly, the knowledge of current students in the program. An informed student will ensure that he or she utilizes all sources of information prior to deciding on a program. The first step in determining which program is a good match for you should begin prior to applying. Given how notoriously difficult it is to obtain entrance into a funded counseling psychology program, you will want to take stock of your skills and qualifications. Then make sure that they match up with your desired programs. For example, often times counseling programs look for students with a GPA of 3.5 or above, students with a Master’s degree (though many accept students with only a B.A. ), research experience, and clinical experience. Look at the program’s statistics for students who were admitted in previous years. Once you have found programs that are the best match, e-mail faculty members to see whether they are accepting a student. You may also want to ask additional questions about their research and or training program. Once you have found good matches in terms of background and goals, apply to those schools to increase your chances of being admitted. Assuming that you were fortunate enough to receive an interview invitation, now you must begin the process of deciding whether this program could be a good match for your career goals. While you can get limited information through e-mail, by contacting the professor, the program, or current graduate students, much of the background information about the program requirements are available online. Be sure to review this information again now, even if you have read it before. It should begin to give you a sense of what the program seeks in students (how many hours are dedicated to clinical responsibilities, teaching, research, etc.). Ensure that the program’s theoretical orientation matches your desired model. Also make sure to check on the program’s accreditation status as well as other program outcome indicators, such as student retention, APPIC match rate, and the length of time it takes students to graduate. While completing your search online note any questions that arise about coursework, training, and program requirements (oral exams, thesis, etc.). Now comes the tricky part. You also want to take into consideration any special requirements you have, like geographic location requirements, a need for special accommodations, a special research or clinical interest, financial aid packages, etc. It will also be important to consider what your quality of life would be like in a particular program (do you prefer a city or rural location, are there opportunities to engage in clinical or research opportunities with your population of interest). It may help to rank order your choices based on these criteria. A highly underused source of information is current graduate students. You will likely meet several on the interview day. Consider asking them what they both like and wish they could change about the program. You should ideally make use of your interactions with graduate students, faculty members, and any other people familiar with the program. Once you receive an offer, you will have a better sense of whether the program is a good match for you through the questions they ask you. You should also be prepared to ask them informed questions about the program and what you seek in a program. If you need to, send follow-up questions prior to deciding. Make sure you have a full understand of how the program is structured and what requirements must be met for graduation, which faculty members are available to supervise students, and what practicum opportunities are in the area It will also be worth ensuring you have a full understanding of how graduate students are evaluated and funded (research vs. teaching vs. administrative assistantships; grants, etc. ), whether the program provides any assistance after graduation for students, and an idea of the whether the program fosters a collaborative or competitive environment. Thinking about what a program can offer, and how that fits in with your goals, should allow you to now rank order your desired programs and find the program that is the best match for you!